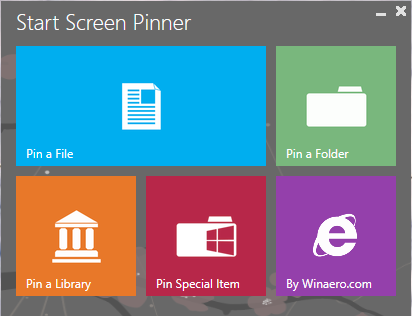 Start Screen Pinner is a free tool to add files,pictures,library and folder. You can also pin shortcuts to autoplay your devices like bluetooth and webcam also.If you like windows 8 metro Start Menu so you would like to add your favourite files and folders but you can not do this directly. 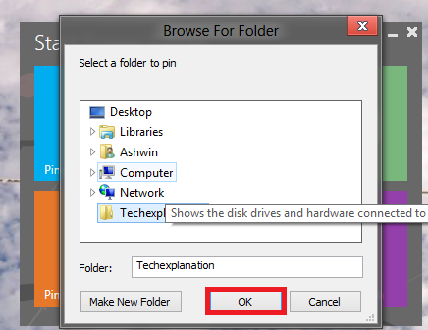 You may aware about that you can only pin executable programs not file of folder.If you want to add files and folders in Start Menu,you need to use this software named Start Screen Pinner.This software is able to and files and folder,shortcuts in your Start Menu.This application is very small.The size of Start Screen Pinner is 69.8 kb. Download and run the softwares. Choose what do you want to pin in your Start Menu. Browse and select your file or folder and Click on ok button. Now see your Start Menu your file will waiting for you.